Public engagement with health research and science is an issue of growing public importance. With a worrying trend towards ‘anti-science’ perspectives resulting in serious outbreaks of preventable disease, it is essential to consider bringing the wider public into the consultation and communication of health research and knowledge. Here, Sheena Cruickshank, Lamiece Hassan, and Emily Dawson introduce a ‘public engagement’ approach to bringing the wider community into these discussions as genuine participants in their own health futures. Health matters to all of us. But getting reliable, easy to understand information about how to be healthy isn’t as easy as you might think in the era of ‘fake news’. Vaccines are a great example of why we need to take engaging people with health research seriously. Vaccine uptake has been undermined by celebrities and politicians calling for “safe vaccines” despite overwhelming evidence the vaccines are already safe. As a result, in Europe and the USA, fears about MMR vaccine safety have led to a drop in vaccine uptake resulting in several outbreaks of measles and mumps. Indeed, celebrities act as spokespeople for expensive “alternative lifestyle” practices and products, from vaccines to diets, citing work from “experts” to support their claims. Who and exactly what are we supposed to believe? Working directly with the public is a key way for researchers and scientists to address issues of misinformation. This is backed up by public demand: 87% people say it’s useful to have an understanding of science in their everyday lives, and 63% that they are interested in hearing directly from researchers. So how can we engage the public with health research and what issues should we think about when doing so? It was originally thought public scepticism towards science and technology was due to a lack of understanding. People were “empty vessels” into which information could be poured –the ‘deficit model’. This rather patronising approach did not change public perceptions of research, nor significantly improve anyone’s understanding of science and was replaced with a new model – public engagement. Public engagement focuses instead on working with publics, rather than lecturing them. Although the ideas and methods of public engagement have a decidedly more democratic tone, significant challenges remain. Despite the democratic ideals of public engagement, researchers have shown that some parts of the public are barely, if ever, involved. One of us, in a recently published study, showed how people from minority backgrounds in the UK rarely saw science as ‘for them’ and were unlikely to consider visiting museums or events such as science fairs (see, for example, Reimagining publics and (non)participation: Exploring exclusion from science communication through the experiences of low-income, minority ethnic groups). Similarly, researchers based at the Science Capital Research centre at UCL’s Institute of Education tracked primary to secondary school students in the UK and showed that students from working-class backgrounds rarely saw it as a career. The studies done by these researchers show that Science capital (your science-related attitudes, practices, knowledges and experiences) is unevenly spread across society with middle-class families tending to have higher science capital. And, as you might have guessed by now, people with more science capital seem to be more involved in public engagement. This all means there is a real danger that much public engagement of research is reaching those that already have relatively high levels of science literacy and confidence, while reinforcing barriers for other communities. This is very worrying in combination with our concerns around misinformation on medicines, which could have real implications for health. Indeed, in the UK and USA, immigrant and minority ethnic communities from socially deprived backgrounds have much worse health outcomes than other groups. Our concern is that lack of access to accurate information only makes things worse, as evidenced by the recent outbreak of measles in a Somali community in Minnesota following campaigns from anti-vaxxers. How then can we reimagine public engagement with health that supports migrant communities? One project we worked on sought to tackle understanding and engagement with medical research in immigrant communities from Europe, Asia and Africa based in Greater Manchester. We started by visiting community centres to meet people from migrant communities to learn about their concerns and understanding around healthcare. People told us they really wanted to learn more about health, but struggled with the combination of complex scientific terms and a language that was not their own. Working together, we identified areas of interest and/or concern, such as vaccination, and then co-developed a series of English lessons to give participants the tools to participate in public engagement and, importantly, everyday conversations about health at home or with the GP. Lessons were held as part of students’ accredited ESOL lessons, so the project slotted easily into their everyday lives. During the course, we observed greater confidence and assurance from students, including actively exchanging experiences and knowledge with each other, their families and the researchers. Coursework has since been adapted for teenage students. In another project, we worked with allergy sufferers to develop ways of understanding and tracking their own symptoms as well as contributing to scientific research about the causes behind increases in the prevalence of allergies. Workshops were held with a diverse community of allergy sufferers who helped shape research questions and co-design a mobile phone app that could be used to not only monitor their symptoms but also create a map of allergy symptoms across the UK. The project “BritainBreathing” published its first scientific paper from this data and is in the second year of collecting allergy data (www.britainbreathing.org). We hope that continued efforts by researchers to work with diverse sections of the public will help dispel ideas that academics live in ivory towers separate from the concerns of everyday life. Rather than telling people what we think they need to hear, we have tried instead to work directly with people, to listen to their concerns and work together to address them. And this, we believe, is a better way to engage all parts of the public with health research and when planning to implement consultation and communication around important health topics ahead of developing policy changes. Indeed such consultation approaches could have far-reaching implications beyond the health agenda and serve to better engage the public with policymakers and vice versa. Professor Sheena Cruickshank leads the University's Public Engagement with Research activities and lectures in gastrointestinal immunology. 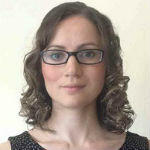 Dr Lamiece Hassan is a researcher with a background in mixed methods health services research. 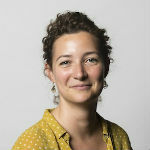 She currently works on Connected Health Cities, a new project that unites local health data and advanced technology to improve health services for patients in Northern England. Dr Emily Dawson's work focuses on how people engage with and learn about science, with an emphasis on equity and social justice. Her current research explores how to disrupt rather than reproduce social disadvantages in relation to science education, engagement and communication.